Britain’s most decorated male swimmer, Mark Foster, has signed up to take part in the London Triathlon, the world’s biggest of its kind, taking place on the 2-3 August 2014 at the Excel Docklands in East London. The five-time Olympian, who won 47 major international medals during his remarkable career, will take on the 750m open water swim leg of a Sprint distance team-relay, a world away from sprint swimming in a pool – once being his forte. The event, which attracts 13,000 participants each year, will be his first competitive swim since retiring after the 2008 Beijing Olympics, in which he carried the flag for Great Britain at the opening ceremony. Since retiring from swimming, Mark Foster has become a familiar face on the TV screen having co-hosted at the London 2012 Olympics and World Swimming Championships on BBC. But come August, Mark will be helping to show triathlon is an accessible sport and can be enjoyed by those who may not be ready to take on all three disciplines, preferring to start their experience as part of a team. 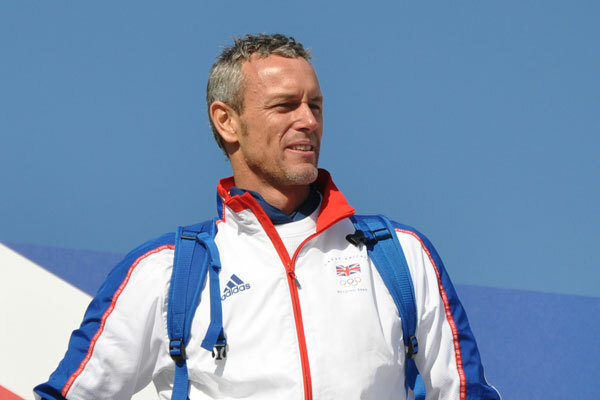 Mark Foster said: “I’m really excited to get back into the water for my first competitive swim since retiring. It’s going to be very different for me, swimming in the Thames with 200 other people is a world away from individual lanes in a pool and I can’t wait to experience it! 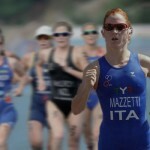 Triathlon is a new challenge for me and it will be great to have support from all the other participants and the thousands of supporters that travel to this incredible event”. Mark took part in both individual and relay swimming during his hay day so he fully understands the benefits of being part of a team. The event has previously seen celebrities including Jenson Button, Vernon Kay, David Hasselhoff, Melanie Chisholm, Richard Branson and Nell McAndrew take part. In 2013 fellow Olympians Louis Smith, Jade Jones and Nicola Adams also took part in a team-relay. 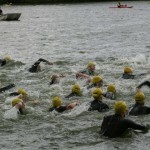 James Robinson, Managing Director at event organisers IMG Challenger World, said, “It’s extremely exciting to have Mark Foster signed up for the 2014 London Triathlon. Mark has been at the forefront of British swimming for many years and we are delighted he has chosen the London Triathlon as his first competitive swim since retiring. “Mark, and fellow celebrity participants, Jenni Falconer and Rob Hayles, taking part as team-relay captains really demonstrates that it’s a great way to experience triathlon – with friends, colleagues or family if you are single discipline athlete or a triathlon beginner”. Participants have registered for the event from as far and wide as Paris, Hamburg, Texas, Hong Kong, Mexico, New York, Belgium, Australia, Scotland and Romania. The event will also see a great diversity amongst the field with a strong female demographic and participant ages ranging from 18 to 75. 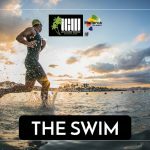 The world’s biggest triathlon will take place on 2-3 August 2014 offering a variety of distances to participants with Super Sprint, Sprint, Olympic and Olympic Plus waves available for general entry, as well as the option to compete as individuals or as part of a team relay. There is something to suit everyone from elite athletes trying to shave vital seconds off their personal bests, to complete novices taking on a new challenge. Triathlon has become one of the fastest growing mainstream sports in the world and a popular alternative to cycling, swimming or running. In the UK, triathlon’s profile was given a boost by 2012 British Olympic champions Alistair and Jonathan Brownlee, who won gold and bronze medals respectively, inspiring people to get involved in the sport. A year on from their heroics, the London Triathlon is helping turn inspiration to participation with demand for places greater than ever.